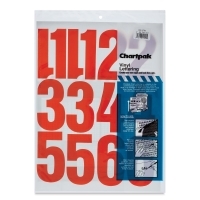 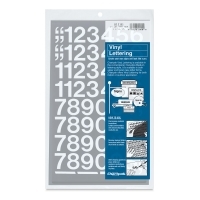 Chartpack Vinyl Numbers are self-sticking, die-cut and suitable for indoor or outdoor use for signs, displays, and identification. Numbers are only available in the Helvetica font. The quantity of each character is listed in the chart below.